Rokurinsha which first opened in June 2009 on the fondly named ‘Ramen Street’ should be firmly on the slurp trail of any die-hard ramen fan. 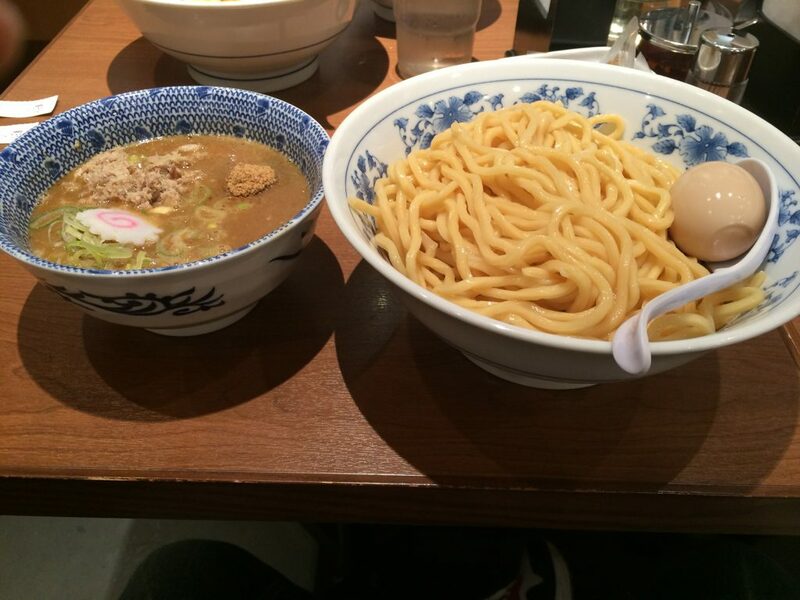 It’s known as ‘Tsukemen’, a style of noods referred to as ‘dipping ramen’ and it was this very restaurant situated beneath the bustling Tokyo Station that propelled it’s popularity. The noodles come naked with a separate intensely rich dipping soup made from pork and chicken bones, and is peppered with rich seafood seasoning too. The noodles are of a thicker variety, chewier than your average and perfect for soaking up the concentrated dipping soup. Rokurinsha are a franchise and have shops in Tokyo Solamachi at the base of the Skytree, and in Haneda Airport which I’d love to try. 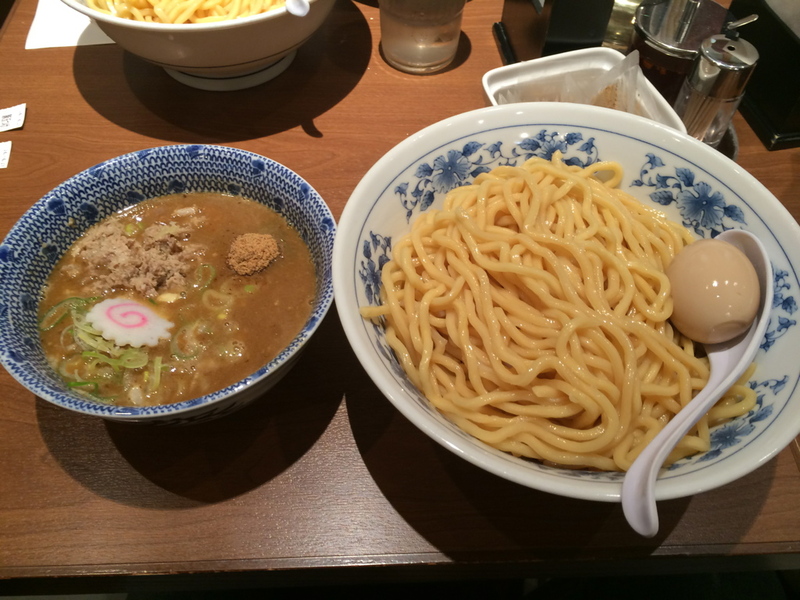 There is also another sister concession called Tsukemen Kyurin in Odaiba. 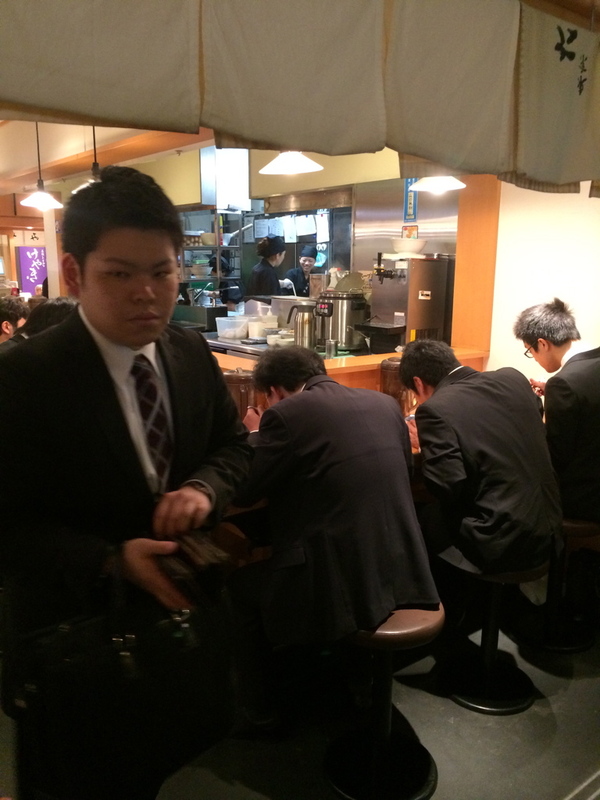 It was heaving when we arrived for lunch time, the queues packed with lone salarymen and groups alike. So I’d suggest going early or during off peak times. To be fair though we got in within the hour so it wasn’t too bad. The viscous tonkotsu broth is made of pork & chicken bones and it came with chashu (bbq pork slices), Naruto (fish cake), Menma (fermented bamboo), nori (seaweed), niboshi (dried baby sardines), sababushi (dried smoked mackerel flakes and katsuobushi (dried smoked bonito flakes). And of course that soft boiled marinated egg. 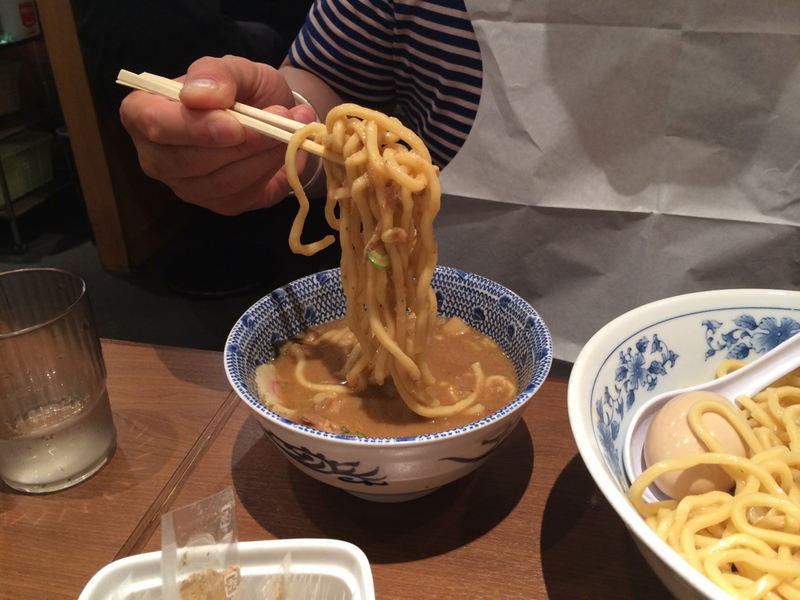 Not only does that rich dipping broth coat the noodles it blasts your tongue with layer upon layer of umami. When the noodles are finished the waitress comes along with a kettle to dilute the dip so you can slurp that down too like a soup. I get that as it would be too intense to have it solo. 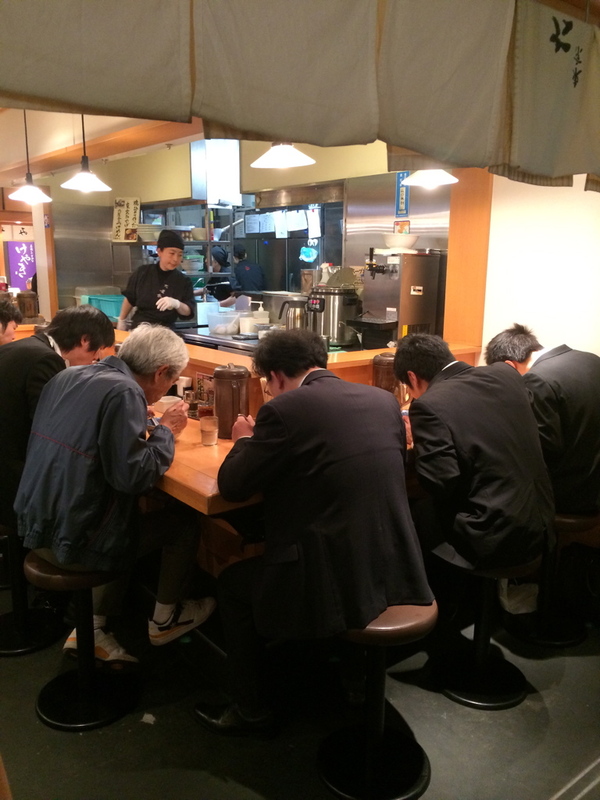 The damage: Expect to pay ¥850-¥1250 for a set meal (£6-£9). The good: The ramen dip had lcomplex savoury richness to coat those chewy dense noodles, it really was interesting stuff and the tsukemen style was a real eye opener for me. Speaking honestly it was one of the tastiest bowls of ramen I’ve ever had. It’s a hole in the wall but a gem of a place and if you’re a ramen merchant you’ll love it here! 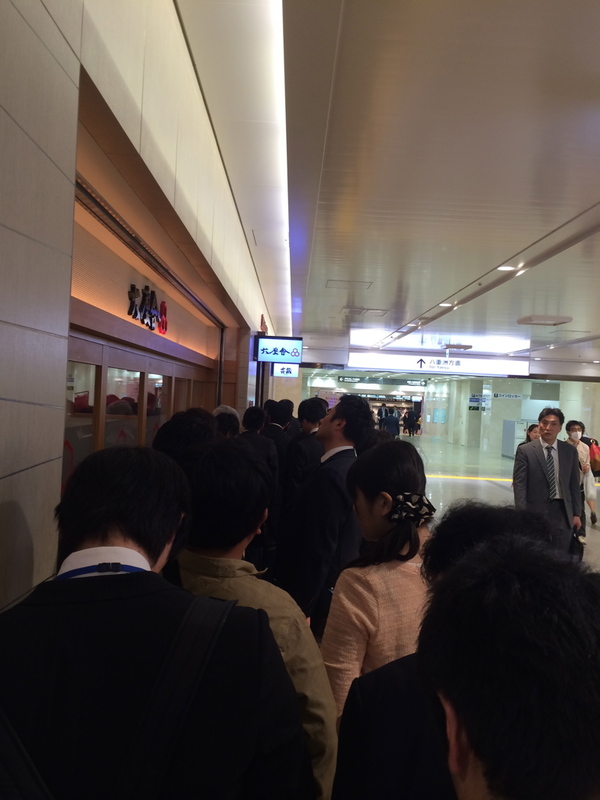 The bad: The queues are a pain so I’d suggest getting there during off-peak hours.